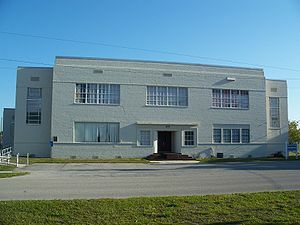 The Dixie Crystal Theatre is in Clewiston on U.S. 27, on the south side of Lake Okeechobee. It is one of the few known examples of Moderne architecture in Hendry County. The theatre is listed on the National Register of Historic Places. See more photos here. Gosh, it’s hard to believe it was a year ago today that Mom passed. Wasn’t sure how I’d be doing today, but it was OK. Probably helped that I took a couple of road trips this weekend. Saturday went to Bunnell, then up and over to A1A and south. Couldn’t figure why there were so many bikers on the road, then found out it was Bike Week. Waah, traffic! 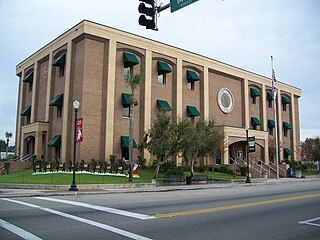 Sunday I went oppositely, to Davenport, Haines City, Winter Garden and Lake Wales. Finally got to see Bok Tower, which is pretty amazing. Mom and I got there on one of our last trips, but it was 6 pm when we arrived, so the gates were closed. I know she was with me as I finally got to see the tower and the grounds. Oh, and goat milk fudge! So when I used to go down to Miami regularly, I’d mostly use US 27, ’cause it’s cheaper and more scenic than the Turnpike. I used to pass this place that sold goat milk fudge, and always meant to get some, but never did. In recent trips, I saw it was still there. Yesterday I at last stopped there and got some. Webb’s Candy Factory, it is. Fudge tasted good, not at all goaty. And I highly recommend getting ice cream. One scoop is nearly a pint! And for 2.95, not bad. Nearly 600 photos got, and several more stamps in my Florida State Parks passport. Two-thirds done, huzzah! Anyway, there have been ups and downs this past year, but mostly I’ve muddled through. What the future brings, that’ll be interesting. I almost hit a cow! So I was driving south last Saturday to Arcadia, recreating parts of one of the last trips I took with mom last February. It was 4 pm and at this point I was on my way to the Miakka School House, then the Myakka River State Park. There were fenced-in farms on the right, and up ahead I saw a cow wandering along a ditch outside the fence. I slowed down in case it decided to cross the road. Well, it did, but fast. It was like a squirrel dashing in front of me. A squirrel that weighed hundreds of pounds. I have never seen a cow move that fast! I slammed on the brakes and missed it by only a few dozen feet. Seems I always have to have something eventful happen on any of my roadtrips. I got to Arcadia later and stayed the night, tooled around the town until noon, then headed over to US 27 and north. Had to take a slight detour and visit one of my favorite spots in the state. I remember accidentally discovering it ages ago on the way back from Miami, when I still made semi-regular visits down there. I tried avoiding the turnpike, b/c I’m cheap, and US 27 was so much more scenic. One time I thought I’d try State Road 17 for a change. Just north of Frostproof, the road curves and then it looks like you’re going to go over a cliff. It’s just the way the road drops, but the view of a lake and hills covered with orange trees stretching away is pretty amazing. It only works if you’re going north. The rest of SR 17 is pretty cool, too. But take a gander at the spot of which I speak, and see if you agree. Wound up waking up at 7, ‘cause I didn’t notice there was a window in the kitchenette area, so failed to cover it. Live and learn. Got cleaned up and some coffee in me, which pepped me up. Loading the car helped too, since it was a bit brisk and breezy outside. Not a cloud in the sky either. The weather proved to be spectacular the whole day. Got out by 8:30, and found my first photo op easily, the Clewiston Historic Schools (photos). This was the beginning of second theme of the trip. The first, lest we forget, was construction. Number 2 was schools. I saw more historic schools all over the place than I have on any other trip. Usually for me it’s churches that I run across. The school theme, though, will become obvious as I recount my journey. The sub-theme of this was that almost all the schools I ran across were closed, even the ones I hit on Monday and Tuesday. I guess it was spring break in southwest Florida. Lucky me. Next I got three historic houses that were fairly close together. And theme number 1 reared its ugly head, as the street they were on was tore up. Not so much that I couldn’t get close enough to take pictures, but still. Then I went back to the Clewiston Inn and parked. From there I was able to walk and get the rest of the stuff in town I needed (the Inn, the Dixie Crystal Theatre, the local history local history museum, and city hall). As a bonus, I stumbled across the offices of US Sugar, so I snapped a couple of that. I headed west about 10 and stopped at the local Super Wal-Mart before I completely left town. Mostly it was because of a minor recurring car issue. I picked something up that corrected the problem for the rest of the trip and a few weeks after, hurrah. Also picked up some trail mix to snack on if need be, and these cool individual powdered coffee creamer tubes that Mom found out about and liked. Didn’t take too terribly long and was back on the road soon after. I kept an eye out, and still no mile markers. It must be something they’re doing in Palm Beach County only. The US 27 and SR 80 intersection (street view) is jazzed up. I can remember on my numerous trips to Miami how basic it was. Stop sign from the SR 78 side and that was it. Now there’s lights and nice road paving and everything. Yes, I would go down US 27 to Miami, not the Turnpike. Back in the 80s I hated being a hostage to it. The tolls, the expensive food and gas at the toll plazas, it was a racket. It’s better now, but I hardly ever need to use the Turnpike anyway, ‘cause it’s not usually convenient to the way I travel. The day before was probably the third time I’ve used it in 10 years. US 27 was so much more scenic, and only took an hour longer. The only bad part was south of Lake Okeechobee, and that’s finally been four laned, so it’s all good. Mind you, there’s been a crapload of development on some stretches, especially around the main routes to Orlando. Still, I prefer my good old US 27. A friend of Mom’s still goes that way to visit her family in south Florida, so I’m not the only one. Heading north on US 27, it’s only a few miles before you see the bridge over the Moore Haven Canal (above), bigger than life (street view). It’s the biggest thing in Moore Haven, really. It’s strange seeing it this way, since as much as I hate the Turnpike, I’d usually drive it on the way back from Miami. Driving US 27 at night was scary. There was so much nothing, and being way before cell phones, God help you if you had a car problem. So there’s the bridge and what’s the first thing I see after I’m over it? 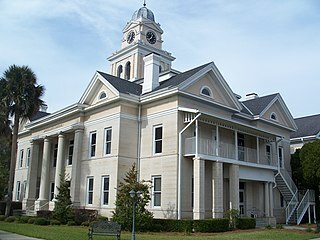 The Glades County Courthouse (above). It was getting well after 11, and the midday light (the couple of hours before and after the sun hits its zenith) is the best for photos, I think. Though near sunset has its advantages at times. While photographing, I looked and looked, and couldn’t see the waterline. When the area was flooded in 1926, the first floor of the courthouse was totally submerged. There’s still a faint line where the water rose to, but I couldn’t see it. Something to think about, though. I backtracked to hit the downtown historic district (photos and street view) first, since it’s only a block long. The dilapidated state of the old buildings is sad, and an odd contrast to the new park across the street from them. My favorite part of the district, though, is on the canal which was dredged years ago to connect Lake Okeechobee and the Caloosahatchee River. Right there at the end of Avenue J is the Lone Cypress Park (street view), one of the smallest parks I’ve seen. I don’t think it’s even half an acre. At the center is the Lone Cypress, used as a navigational aid way back when. It really stands out, as you hardly ever see cypress trees like this in Florida. And this one looks like, I know this sounds like an oxymoron, but it looks like a giant bonsai. It looks very sculpted and stately. Peaceful, too. It’s the kind of tree you could sit under and read a book for hours. After that I drove around the residential historic district (photos) and took pictures. The houses are all very old frame vernacular style buildings, quite a few on the ramshackley side. I’m not sure if any of them were survivors of 1926 flood, but if not they were probably built not much later. I stopped at the larger city park and called my friend Richard. I used to call Mom around 11 when I was at work, and did the same when I was on a roadtrip. Then I’d call her every two to three hours after, so in case anything happened to either of us, the other could notify authorities and that sort of thing. Now that she’s gone, I thought it would be a smart idea to still continue that, for safety reasons. Even though it was nearing noon, it was still cool in the shade. I love spring in Florida. As I headed west out of town, I thought of all the people who’ve driven through Moore Haven over the years. Passing through, with little thought of where they were, only where they were going. A few minutes, a half-hour, just a little time taken out of their travels and they could have discovered a little gem like the Lone Cypress Park. I’ve said for the longest time that you should enjoy the journey as much as the destination. 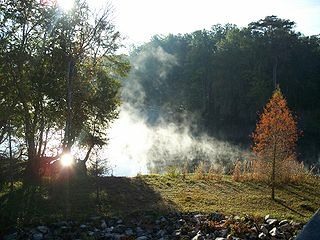 So many are in such a hurry, how much better our lives would be if we slowed down every so often to enjoy the scenery. I thought there weren’t any BP gas stations for a ways, but before I got out of Moore Haven, whoomp, there one was. To explain. I got gas cards for BP for this trip. That way I wouldn’t need to carry as much cash. They’re much more convenient, and BP gas is often the cheapest. This was all before the spill, mind, but I may still use them in future, since it takes some of the worry out of travelling. I really wanted to see what was left of the Cypress Knee Museum (street view), but it was rather out-of-the-way, so skipped it. Ah, the Cypress Knee Museum. So sad it closed back in 2000. There’s not much left of it, I gather. I always looked forward to it on my trips down to Miami. I never actually stopped there, but it was a comforting landmark. And all the Burma-Shave style signs the owner put up along US 27 to let people know about it. The place was everything I love about kitschy tacky touristy Florida. Some may not like that aspect of our fair state, but to me, that’s part of its charm. I finally did stop there a couple years after it closed, and I can only imagine what it was like in its heyday. If I’d taken half-an-hour whilst it was still in business… Ah, regrets. Just about when I decided to skip the museum, I saw one of the familiar brown signs for a Florida Heritage Site. One that I never knew about. It wasn’t much of a detour, so I took a turn and headed down SR 78. Which went through major cattle country. I really hadn’t realized how extensive the industry was. It looks like it’s in every county around Lake Okeechobee, and the counties next to them. I reached Ortona, but you couldn’t prove it by me. Drove by the local cemetery, where Billy Bowlegs III is buried. Just past it is a dirt road which leads to the heritage site, a park behind the cemetery. Ortona Indian Mounds Park, that is (street view of entry road). I didn’t see much in the way of mounds, as they appeared to be overgrown. Nice little park, however. Had a small portable building that was a police station. The park was right on the shores of Lake Wobegon too. No, not that one. Onward after that to SR 29 south. I soaked in the isolation of it all. Hardly any signs of civilization. This is what Florida must have looked like back in the 19th century and before. An air conditioned car stocked with Altoids, the open road, what more could you ask for? So my first real stop was good ole Yeehaw Junction, home of the Desert Inn and Restaurant (photos and street view), listed on the NRHP. Middle of nowhere now, but a popular passthrough for farm workers and cattle drivers back in the day. Got a meal to go, which I’d never done at an NRHP site. That turned out to be one of the themes of this trip. More on that later. Down US 441 I went, turning off eventually to visit Kissimmee Prairie Preserve State Park (photos). Good lord, talk about out of the way. 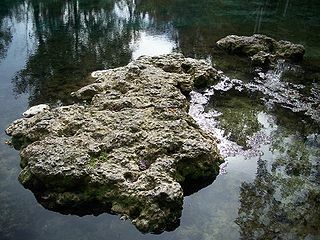 Anyone who says Florida is overdeveloped, just go to this park and you’ll be disabused of that notion. I did my usual quick hit-and-run tour, since it would take the good portion of a day to explore the whole place. 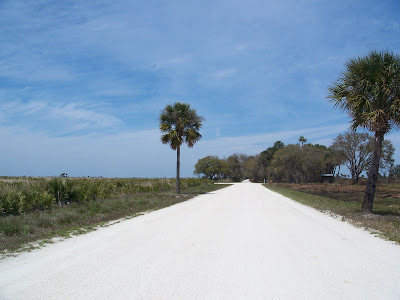 Leaving there, I headed south again until I reached US 98, which took me to the city of Okeechobee (photos). It’s bigger than one might expect, considering its location. No skyscrapers or such, mind you. There are a lot of visitors that go boating and fishing on the lake throughout the year, which I suppose helps. I’m not strongly moved by the city; don’t particularly love or hate it. To me, it’s a gate to other places. Amongst the pictures I took, I got some of the Freedman-Raulerson House (photos), the only NRHP site in the city. South on US 441 again, I started the loop around the east side of Lake Okeechobee. I couldn’t find the Okeechobee Battlefield, which is not only on the NRHP, but is a National Historic Landmark. Have to do more research, since it’s the only place keeping me from having photos of all the NRHP sites in Okeechobee County. I love when I can knock out a county like that, and hate when I get close but can’t. After a bit, I hung a left and caught State Road 710 to get to Indiantown. What’s in Indiantown, you may ask? The Seminole Inn (street view), I answer. It’s main claim to fame is that Wallis Simpson, the Duchess of Windsor, stayed there because her uncle had built the hotel and helped develop the town. They also say they make great fried green tomatoes. I wish I’d had time to try them out. Back to US 441, and Port Mayaca. Got shots of Cypress Lodge, best I could. Down to Pahokee. 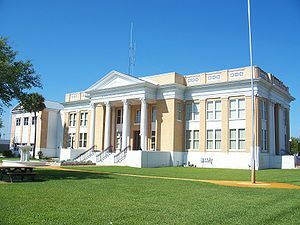 I couldn’t find the old Pahokee High School. When I got home, I discovered I’d had an imprecise location, and had driven right by it. Couldn’t check it off, therefore. I did get to accomplish one of my big goals for this trip, which was to drive the entire length of US 441 in Florida. When we lived in Miami, it was a few blocks from the house and I drove up and down it a bunch. Then we moved here to Ocala and I moved to Gainesville, so I drove the stretch of US 441 between the two for more than 20 years. Over time, I’d driven every other section in the state, except the one bit between Pahokee and US 27. The last time I was there, in 2005, there was major construction going on. Not resurfacing, oh no. The road was gone. They’d removed an I-don’t-know-how-long stretch of it (several miles, at least), so I had to detour. Well, 5 years later, it was all done, and very nice it is too (street view). 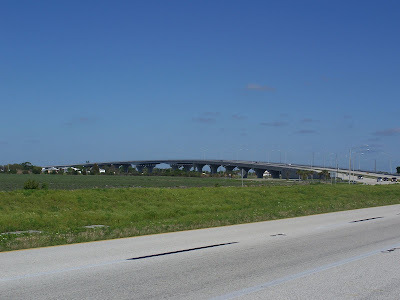 On to Belle Glade, then left and heading west on US 27 through South Bay. I’ve heard there’s problems with the Dike, but I didn’t see anything. I noticed mile marker signs, like on the Interstates. Weird. They stopped at the Hendry County border. I wonder if it’s something that’s in the works for all the US routes? I made no hotel reservations for the trip, since I didn’t know how far I’d get each day. 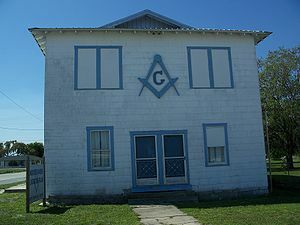 I had a feeling that I’d have to stay in Clewiston the first night, and so it was. I hardly got any pictures, since it was close to sundown at this point. I found a nice efficiency style hotel, and only about $50 a night. 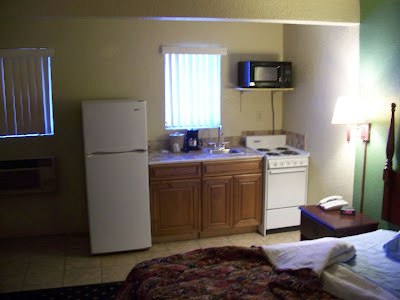 The room had a full kitchenette! I’ll have to remember to look for this kind of place on future trips. Where to eat? 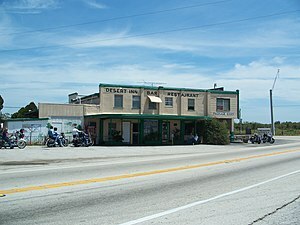 I decided to indulge and went to the Clewiston Inn (street view), which I’d say is the most important NRHP site in town. They have a gorgeous mural in the room where the bar is. The place is, as they say, top drawer. Sadly, I had the entire dining room to myself. A couple did come in after I sat, though. The waitress brought out some very good cornbread. There was barbeque on the menu, from the Old South Bar-B-Q, a place that had burned down and the Inn had acquired the name and recipes to use. But I didn’t want to go someplace that fancy and have barbeque. Since it wasn’t Good Friday, I didn’t need to restrict myself to fish. So I had prime rib (good, though a bit more rare than I ordered), mashed potatoes (good and fresh, with chunks and bits of skin), and hushpuppies (very good, but odd, since I’ve always gotten them with fish) Had room for desert, so I tried their key lime pie. Really good, and not too tart. I returned to the hotel and called my friend Jeff, since I was so close. He lives in Broward County, and was only about 70 miles away. We talked, then I watched TV for a while. There was no FNC, though, how annoying. I did get to bed early, well before 10 PM. That was day one. The editted highlights. And I got started late. Hang on for the next three days!